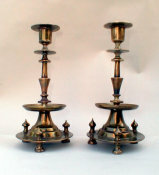 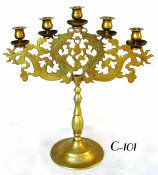 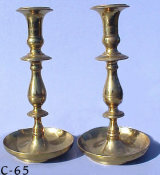 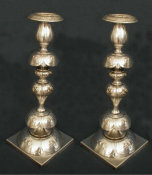 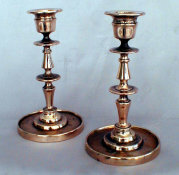 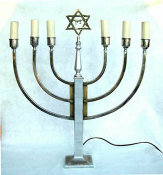 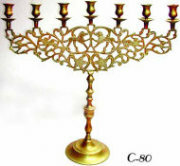 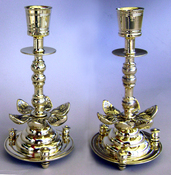 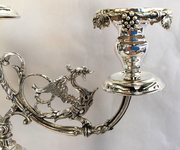 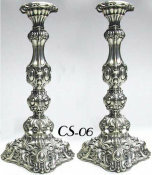 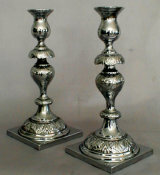 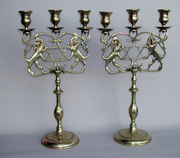 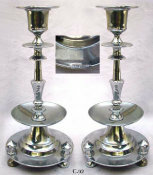 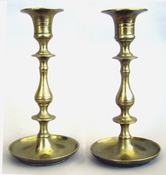 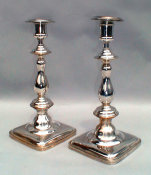 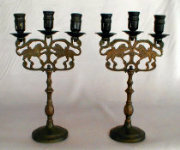 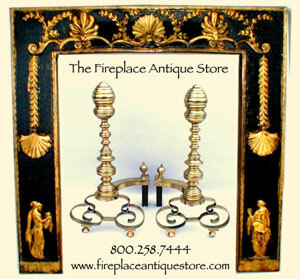 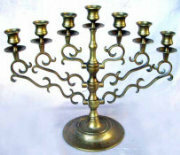 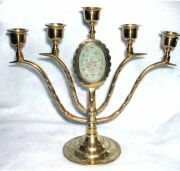 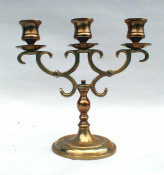 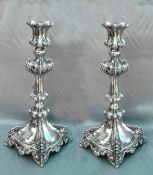 Two-Light Antique brass Sabbath Candelabra. 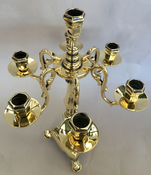 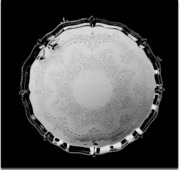 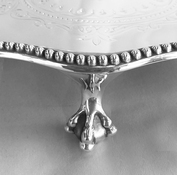 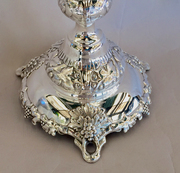 Detachable arms support drip pans and candle holders. 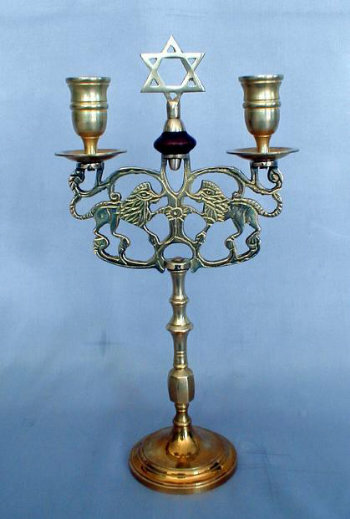 Adorned with A Pair of Rampant Lions in scrolled framework and a Star of David set atop a polished wooden bead. 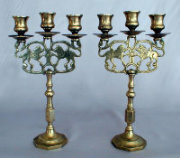 Made on York's Lower East Side by the Jewish Immigrants - in the style of the ones they left behind in the Old Country, c.1900.